ASNU Transmission Products began in March 1974 operating from the Brisbane suburb of Milton. It is a solid and stable business having only changed hands three times in its 43 year history. In 1994 it moved to a larger factory at East Brisbane and in 2000 took over the neighbouring building effectively doubling its size. In 2016 it moved away from the inner city area of Brisbane to a purpose designed factory at Salisbury. Over these 43 years, ASNU had established itself as the market leader by building a quality product for the premium end of the market. We refused to be all things to all people and to this day remain a business dedicated to building or re-building torque converters. As a result, by 2003 ASNU dominated the sales of torque converters from Darwin through Queensland and down to Newcastle. In 2007 Melva Torque Converters was purchased and in 2008 we also acquired the maker of the Red Diamond brand of hi-stalls, QCES. ASNU acquired AGNEW Converters in 2011 thereby establishing itself in NSW. This was followed by the acquisitions of RPM Engineering and Converter Repair Service in 2012 which gave ASNU a major slice of the Sydney market. 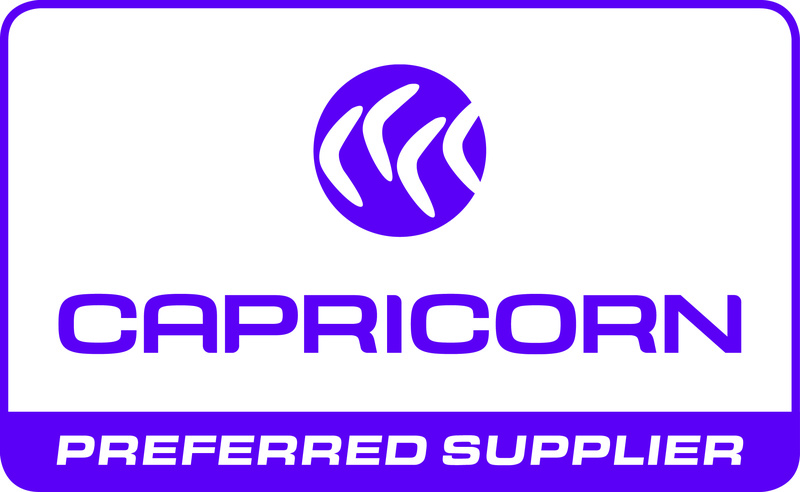 These companies were amalgamated into one and continue to trade as the Sydney branch of ASNU. 2017 saw ASNU Transmission Products partner with FluidDrive Holdings Pty Ltd in Melbourne to become the undisputed industry leader with an estimated 1 in 4 torque converters sold each day in Australia being an ASNU product. 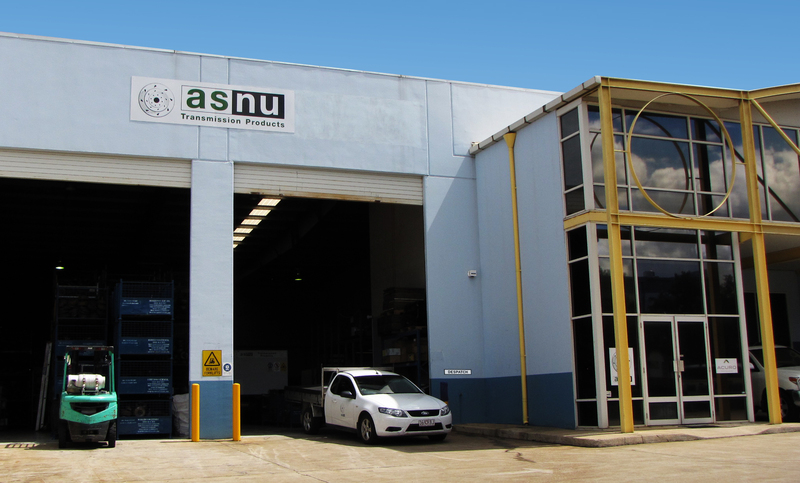 ASNU has grown to become Australia’s largest and most experienced maker of torque converters with offices in Brisbane, Sydney, and Melbourne. Whether you need automotive, high performance, industrial or marine torque converters and parts we can supply it. Our team is recognised as Australia’s most experienced torque converter technicians. We can help you design a converter to match your needs, whether high performance, heavy duty or any other specialised application. 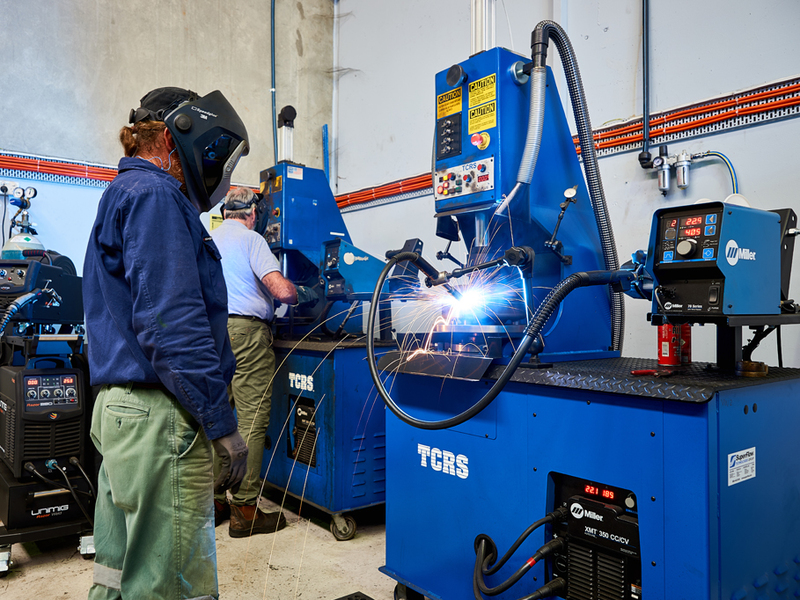 As one of the first torque converter companies to gain recognition for manufacturing to the Australian government’s ISO 9001 standards over ten years ago, we continue to achieve a level of quality in both our Brisbane and Sydney factories that is the envy other converter manufacturers. With over 120 years of torque converter building experience between them, our key technicians have seen it all and have met every challenge thrown at them. And remember, torque converters are not a side line for us that we do between other jobs: they are all we do! So we need to do them right first time, every time. Our lathes are equipped with the latest digital technology helping to prevent common errors such as misreading the hand wheel dials or losing count of hand wheel rotations. They also provide capabilities impossible with mechanical technology, such as switching from measuring inches to measuring millimetres. Accuracy is the name of the game with modern converter designs. More flexible than overhead cranes, and capable of being moved from location to location, our Sky Hook allow us to work safely on large industrial converters up to 230kg. As Australia’s largest torque converter maker, ASNU is able to source the latest engineering equipment and technology for the job. 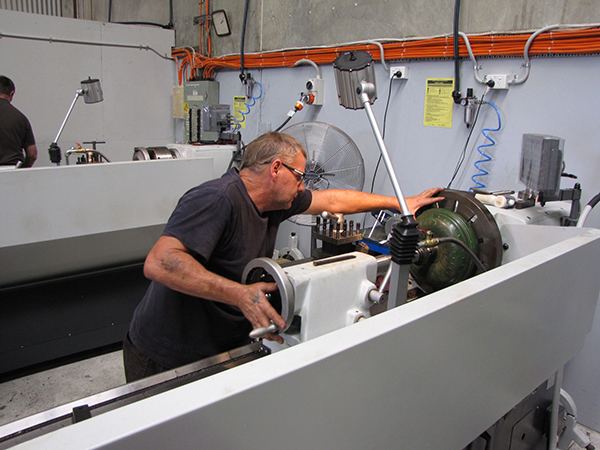 Our factories are the best equipped in Australia with precision machinery and highly skilled technicians delivering a reliable and dependable product every time. Once upon time all you needed to rebuild a torque converter was a lathe with a welding wand attached to it. Today however, converters have to do far more, and yet be more compact. As a result, they are designed to have less than 0.1mm clearance, often have O rings located only 3mm or 4mm from where welding occurs and require perfectly finished surfaces. The changing needs of torque converters means we need changing technology to work on them. Because of its size and because it is a dedicated torque converter rebuilder, ASNU is able to continuously invest in the latest machinery available from around the world to meet these changes. With around three quarters of a million dollars’ worth of machinery designed solely for the manufacture of torque converters, ASNU is without doubt the best equipped manufacturer in the industry. 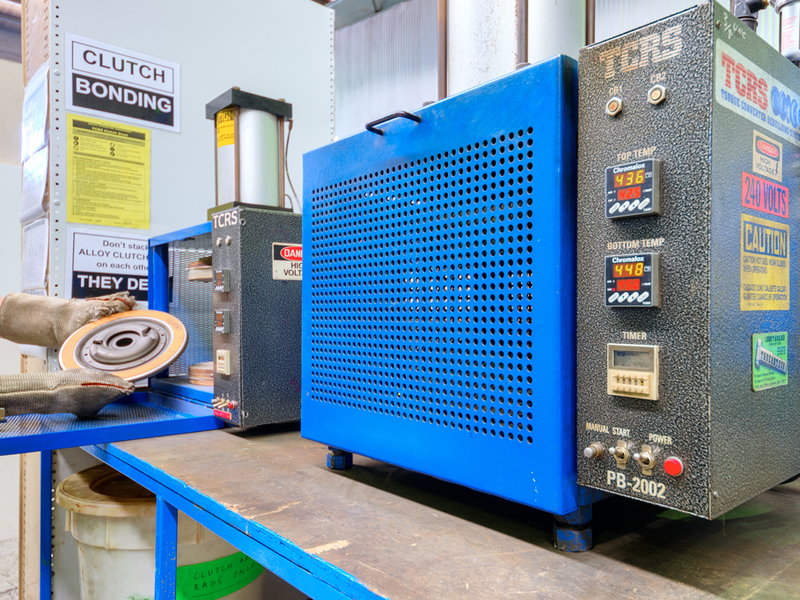 Our clutch bonding ovens can only do one thing - bond torque converter clutches. They do it brilliantly by heating both surfaces of the plate to a set temperature, as well as clamping the lining and plate together at a set pressure for a set period of time. They can't be beaten for accuracy. You need the latest in machinery to work on the latest in converters. Technology means tolerances are tighter than ever and our machines deliver just that. Capable of welding to tolerances of less than 0.08 mm yet maximum strength every time. A converter is only as strong as the weakest weld.